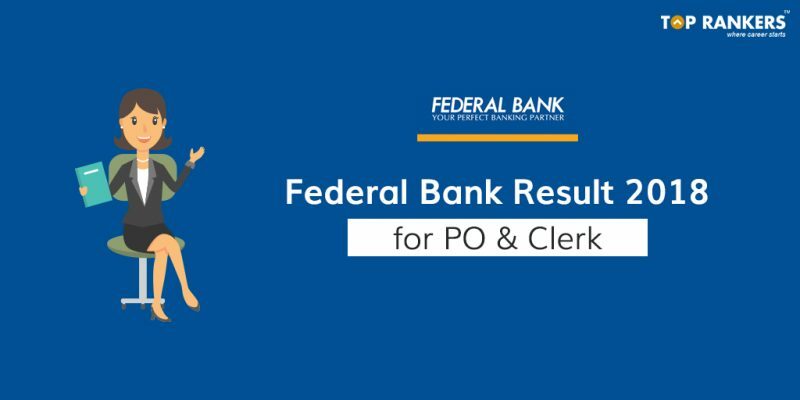 Federal Bank Result 2018 for PO & Clerk released | Download PDF here! Find the Direct Link to check your Federal Bank Result for PO & Clerk 2018. If you are an aspiring candidate of Federal Bank PO or Clerk, and have been waiting for your result, then search no more. Federal bank result 2018 for both Officer Scale 1 and clerk is out. The Federal Bank result for PO & Clerk exam has been released. Federal bank conducts the exam for the recruitment of Officer Scale 1 and Clerk in various branches of the organization. The online exam was conducted on 9th September 2018. The result for the Online Aptitude Test was released on 1st November 2018. Candidates who clear the online test will be called for Group Discussion & Personal Interview round. In this article, find the direct link to check your results. Scroll down to know more. Find the link to download the Federal Bank Results PDF. Find out your roll number and name in the list. If your name and roll number appears, then you are selected for the Group Discussion. Download and print out your result for future use. The Federal Bank provides excellent salary structure to its employees and along with it a lot of other perks and benefits. The Pay scale of Federal Bank employees is Rs. 23700-980/7-30560-1145/2-32850-1310/7-42020. This means that for the first 7 year the annual increment of a PO will be Rs 980 and the Basic Pay will remain Rs. 30560. After that the increment for the next to years will be Rs. 1145 and the Basic Pay will be Rs. 32850 and so on. Get more details about Federal Bank salary structure he. We have mentioned all the eminent information of Federal Bank Result for PO & Clerk 2018. We are sure that you are working hard to clear the Federal Bank exam, and hence, we are confident that your efforts will be rewarded. Just keep going!